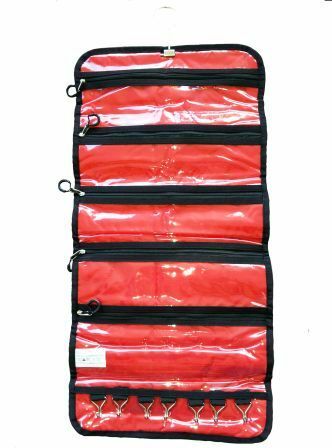 The Travel Roll is a clever, compact way of keeping travel accessories, toiletry and jewellery items safe and organised. 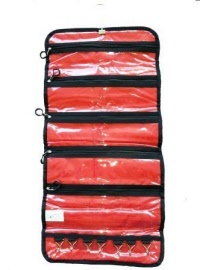 5 zippered compartments with clear sides to easily find items. 7 handy hooks, great for hanging scarves & belts. 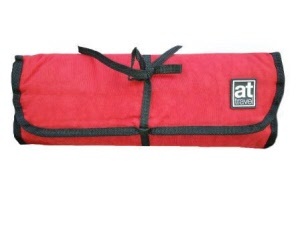 Compact, roll up design for your suit-case or carry-on bag. Large top hook for hanging over a door, in the bathroom or wardrobe.